Magical. Mythical. Masterful! Use this comprehensive crafting bundle to build your own fanciful world of whimsical creatures and woodland landscapes. 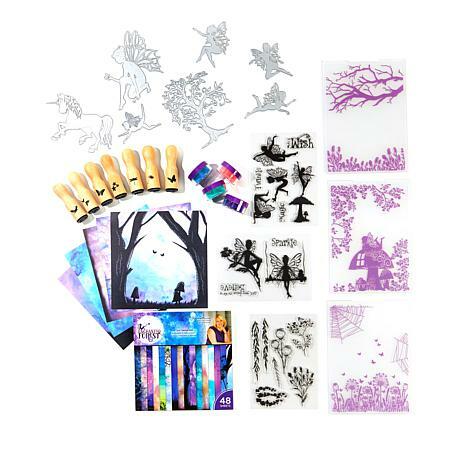 From the wide variety of stamps and dies to coordinating paper, embossing folders and embossing powders, all elements of this bundle work together to help you create truly legendary projects! 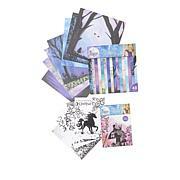 I ordered the Enchanted Forest Fairy Bundle and the Enchanted Forest paper Pads and I love them all. The fairy dies and stamps and unicorns are beautiful. The paper pads are such wonderful colors and make great background for the dies and stamps. Sara Davies is on my favorites list. Keep up the good work. Love, Love,Love this set. I am making the most beautiful cards. Just in love with this bundle. It is just magical. 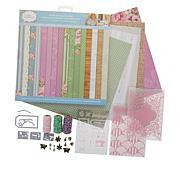 Just a note too for younger crafters -- young girls -- this set is terrific. I like everything about about this bundle. Only limited by your imagination. Thank you, Sara, for this wonderful, wimsical, adventurous idea. I could craft forever with this. It's perfect in every way. Beautiful, elegant, stunning. 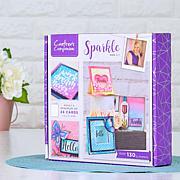 These stamps, embossing folders, dies and peg stamps are among the very best from Crafters Companion. Your graphic designer deserves a bonus.